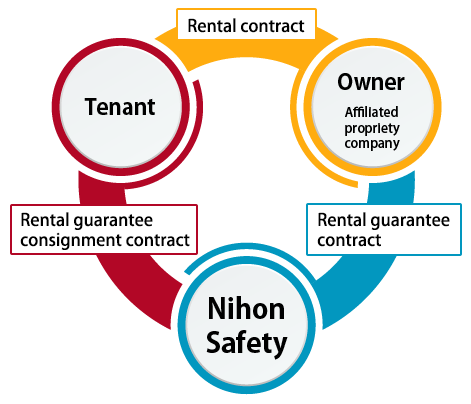 The rental guarantee system - Nihon Safety Co., Ltd.
Nihon Safety Co., Ltd. helps non-Japanese residents who have difficulty finding a guarantor for their apartment rental. Contact a real estate company that handles Nihon Safety’s guarantee system. Please submit the specified application and necessary documents. The guarantee period is one year. If you continue renting over a long term, the guarantee period will have to be renewed every year. You will have to pay a safety fee for each renewal.